If you are a welsh business based in or near to Cardiff and you are looking for Social Media Training for Businesses for you (as a business owner), or your Company employees, please take a look at the Social Media Marketing Training Services and Social Media Training Courses that we have available on Eventbrite. We provide Social Media Training for Businesses on most of the popular Social Media Platforms and business blogging platforms including: LinkedIn, Twitter, Facebook, Pinterest, WordPress, Blogger and Tumblr. 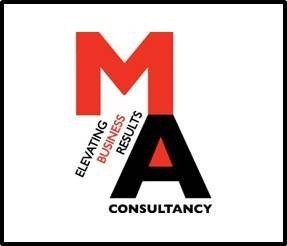 You can either book a course on Eventbrite (link above), buy online from one of the links below, or get in touch via: Email: MAConsultancy1@gmail.com or Tel: 07517 024979 / 07969 286126 to discuss your specific business training requirements? Our 3 hour morning or afternoon Social Media Training Courses cost £200. Our Full day Social Media Training Course costs £500. A Full Week Social Media Training Course costs £2,000 (buy 4 days get one free). We can provide Social Media Training for businesses in Cardiff or Newport (Wales or UK) at your office or at a number of venues in the area (depending on numbers) or at your office location (or a near by hotel or regus) anywhere in Wales (or the UK for that matter). Chepstow, Newport, Cardiff, Barry, Bridgend, Portalbot, Neath, Swansea, Llanelli, Caerphilly, Cwmbran, Pontypool, Pontypridd, Merthyr, Abergavenny, Ebbw Vale, Monmouth, Mid Wales, North Wales, West Wales etc.